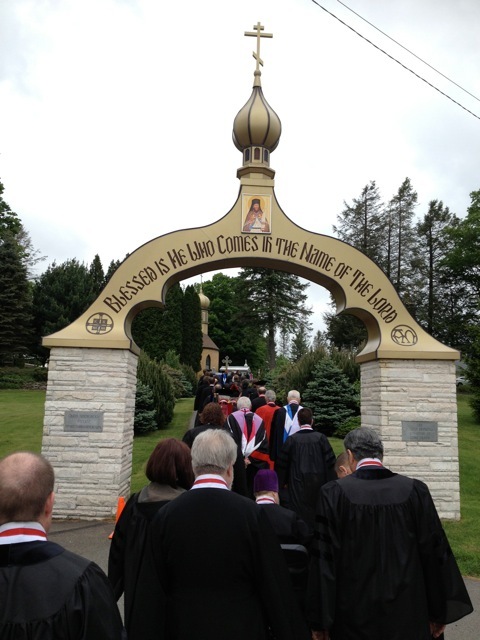 Saint Tikhon’s Seminary here will once again host its annual Vocations Retreat on Friday and Saturday, April 3-4, 2015. The encounter is designed specifically to help men discern their calling to serve the Lord and His Church in whatever capacity that He reveals. During the retreat, guests will have the opportunity to join with the seminary community and monastery brotherhood in prayer, tour the monastery and seminary grounds, hear talks and join in discussions, and meet Archpriest Dr. Steven Voytovich, Dean, and the seminary’s faculty and students. The schedule will provide participants with the opportunity to consider very seriously their active role, purpose and responsibilities as members of the Body of Christ. It also will provide a glimpse what a potential seminarian can expect to experience at Saint Tikhon’s as an active member of the community. There is no cost to participate in the retreat. To register, or to obtain more information, please contact the seminary at 570-561-1818 or info@stots.edu.